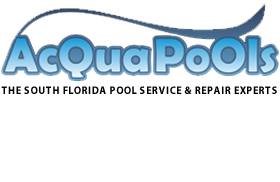 December 19, 2012 /MarketersMedia/ — West Palm Beach, Fla., December 19, 2012 - Aqua Pools Inc. a pool service, pool cleaning & maintenance company serving Palm Beach County is looking to expand market share by offering clients both affordable pricing as well as the highest standards of integrity. Souza believes the formula for making life easier for South Florida pool owners is a simple one. Offer reliable and affordable Palm Beach County FL pool service & pool repair and be quickly responsive to any issues or problems that arise. He believes offering this level of service with touches like including all chemicals in the service and not locking pool owners into a contract will drive the success of the company in 2013 and beyond. Aqua Pools Inc. has serviced the South Florida area for over a decade and services the entire Palm Beach County, FL area including parts of Broward County FL. Acqua’s most common service is weekly pool cleaning in the West Palm Beach FL market.